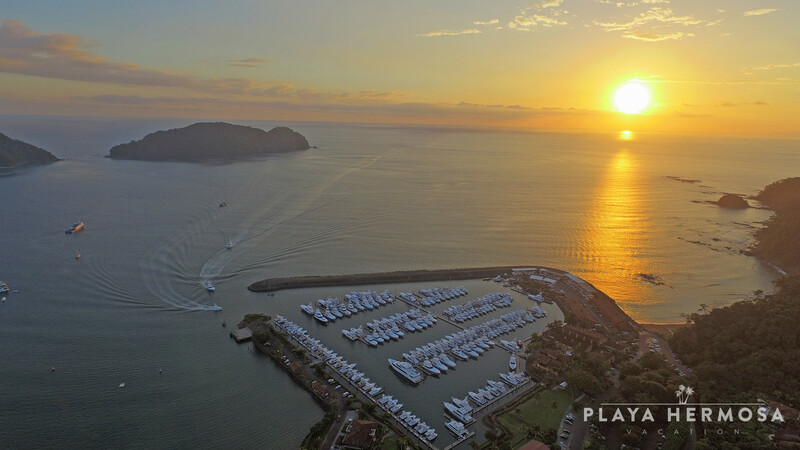 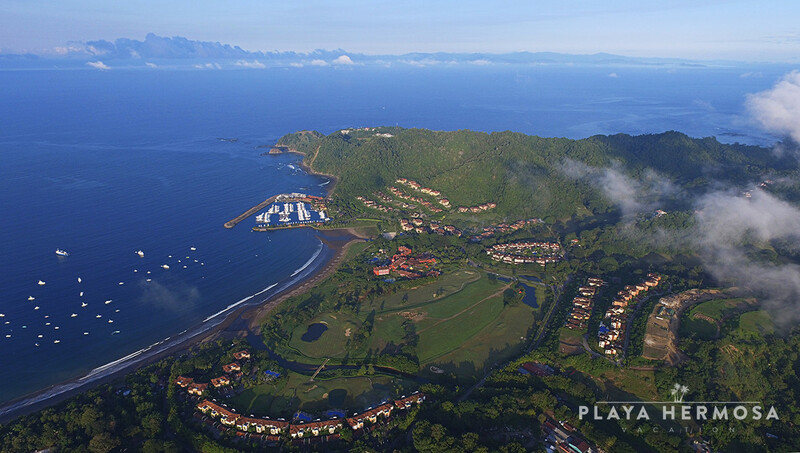 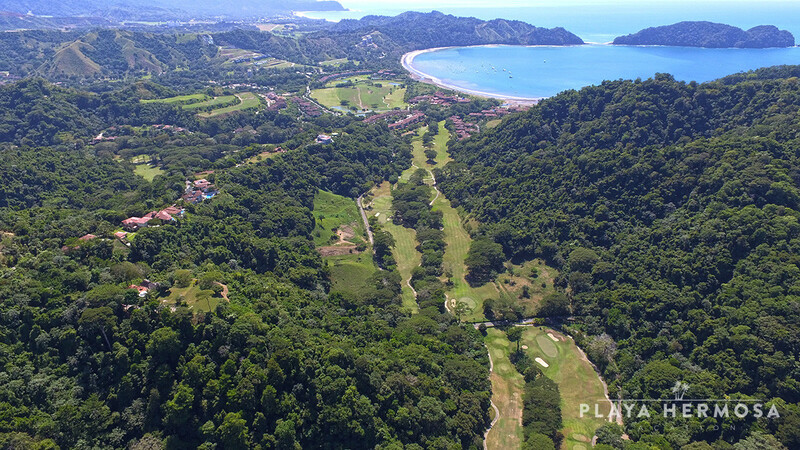 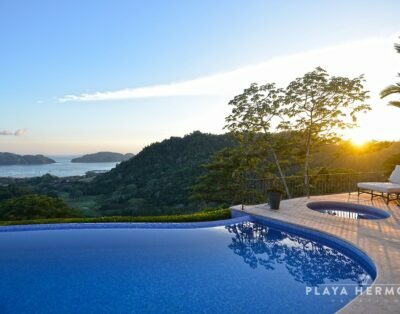 Tucked against the rainforested mountainside at Los Sueños, Eco Golf Estates overlooks La Iguana, the resort’s championship golf course, providing stunning views of the resort, ocean and rainforest. 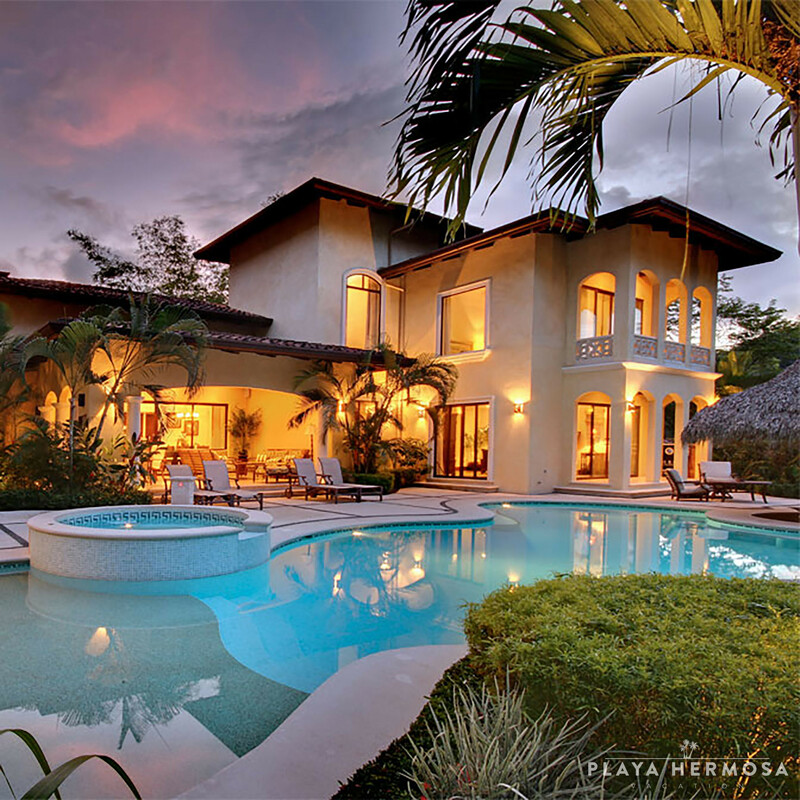 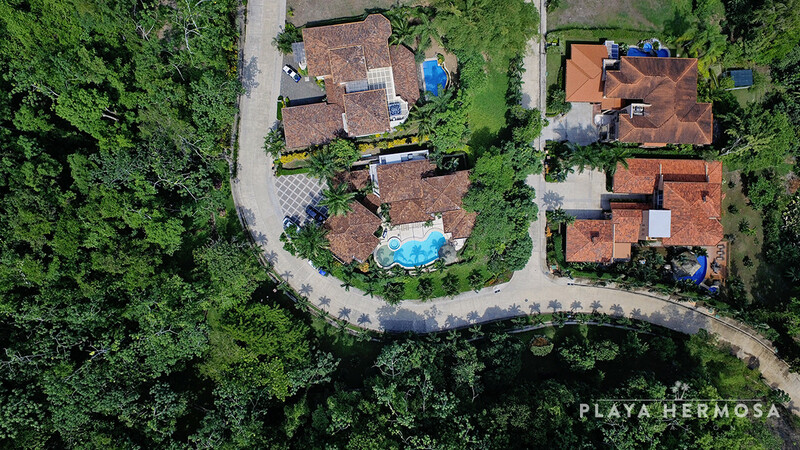 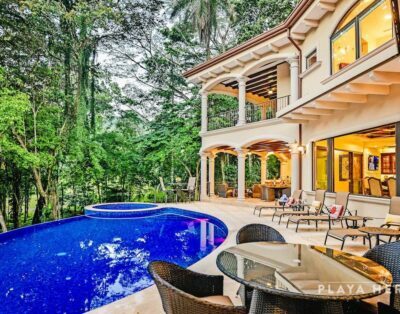 Designed on a grand scale, this neighborhood of luxury, Mediterranean-inspired villas combines the screened privacy of verdant rainforest with proximity to all the resort’s amenities. 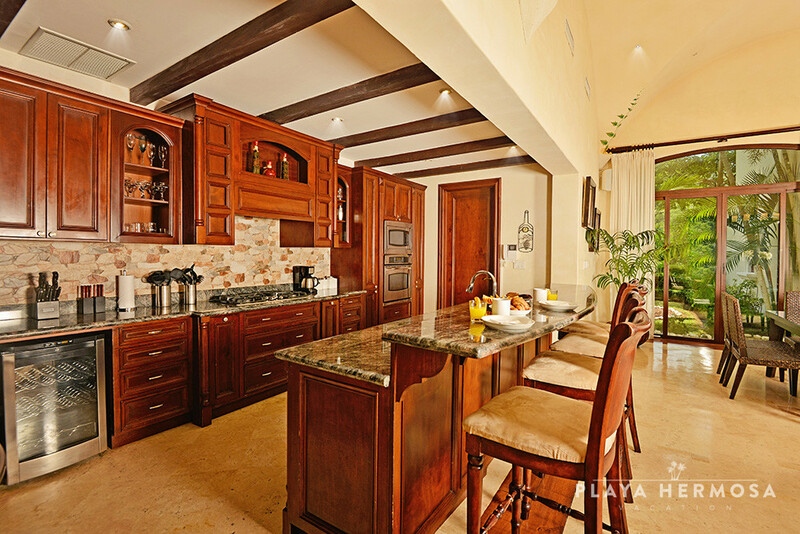 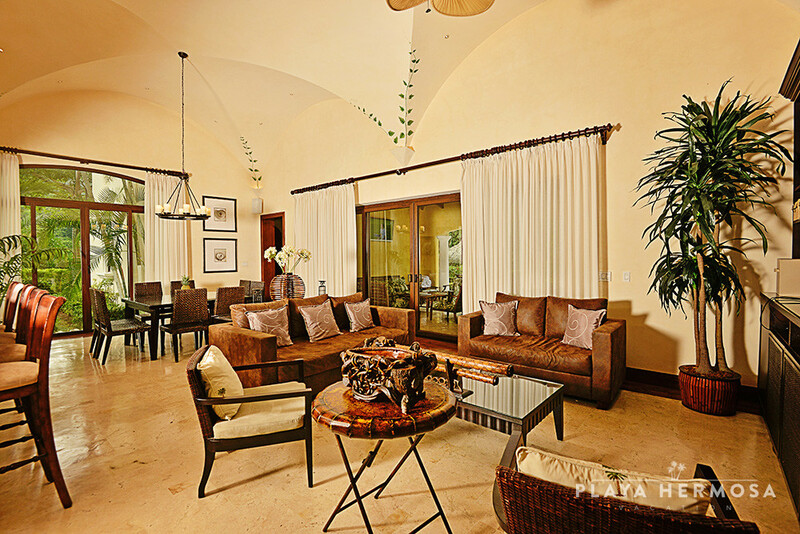 An eclectic Spanish revival-inspired interior emphasizes the bright, airy spaciousness typical of tropical living. 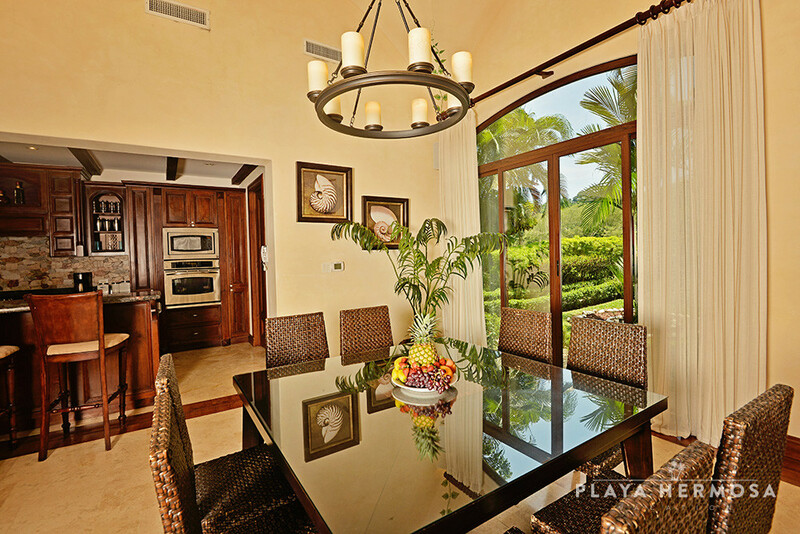 The vaulted cove ceiling of the open-plan communal areas leads through a formal dining room to a large, covered poolside rancho, perfect for al fresco dining. 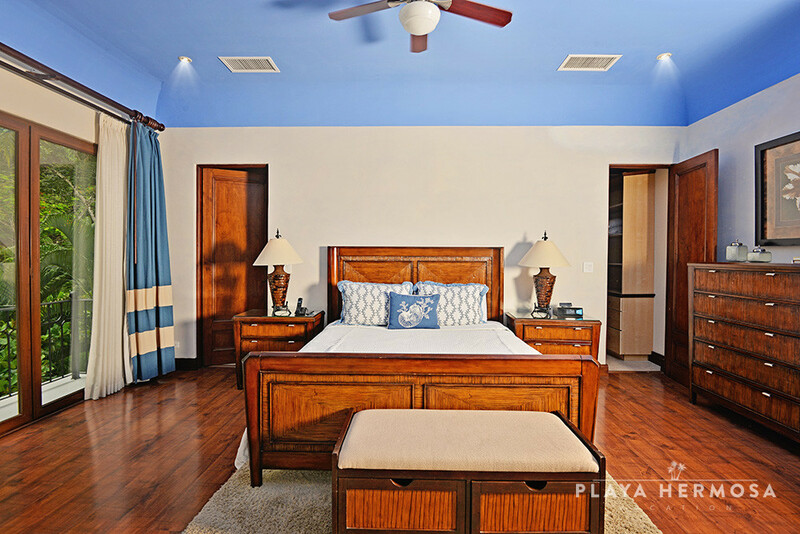 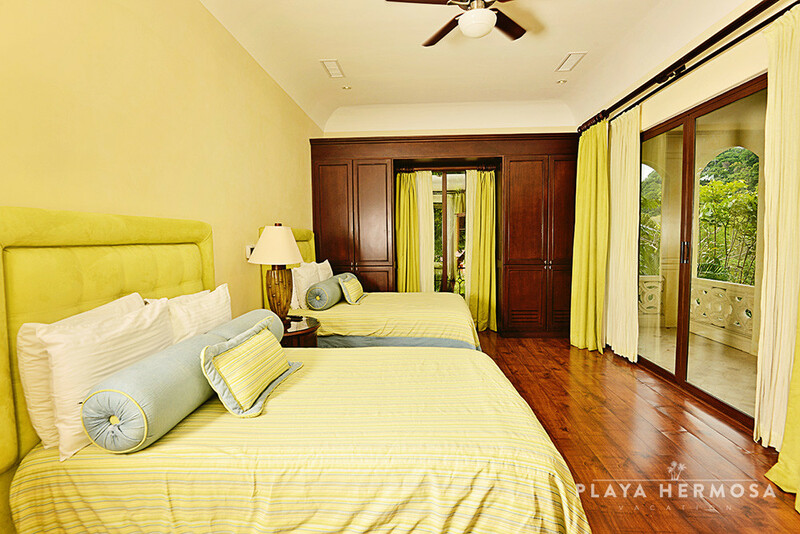 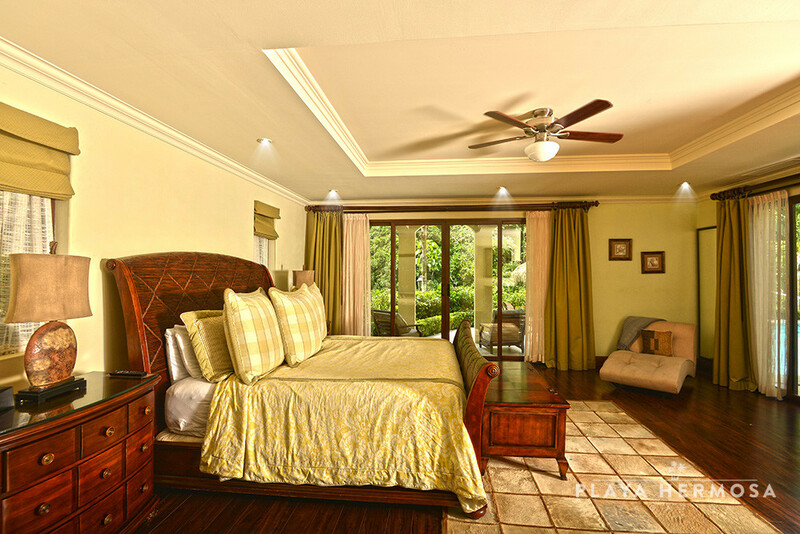 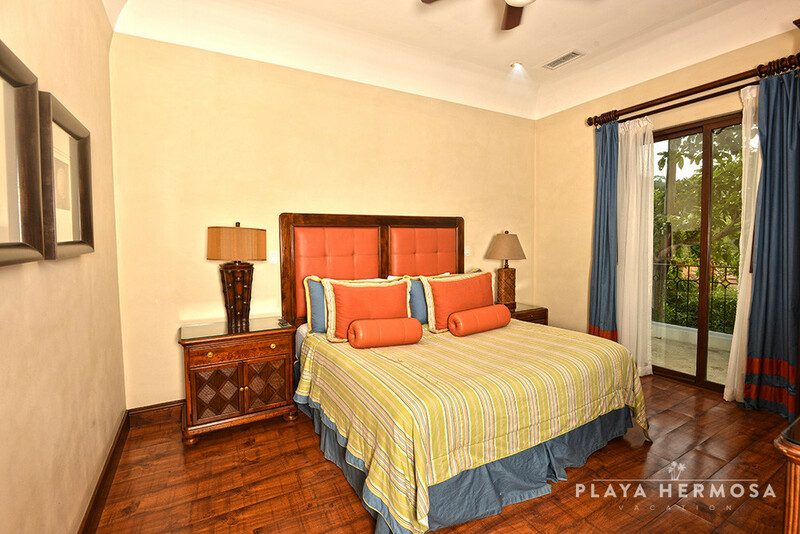 On the ground floor, the master suite and an additional guest suite enjoy exclusive access to the pool and gardens. 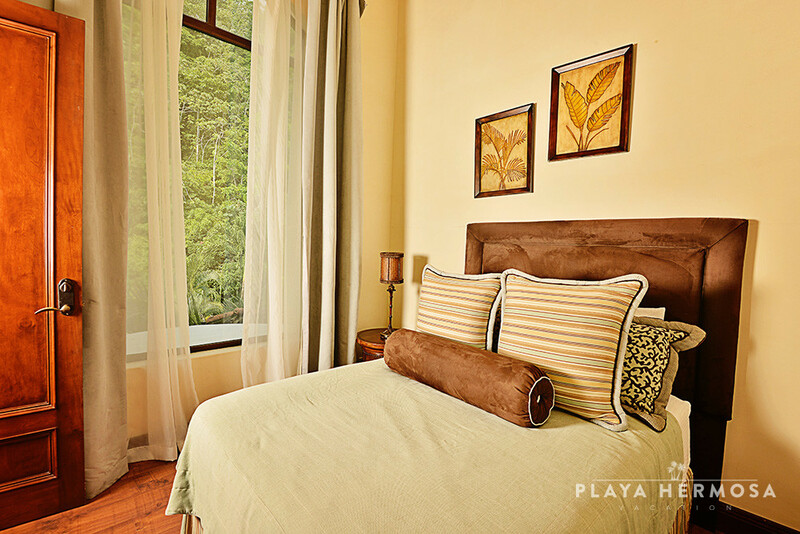 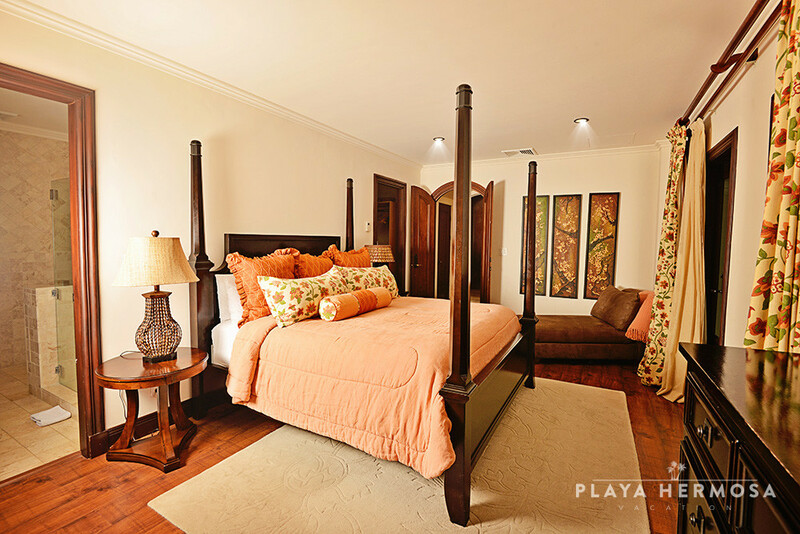 Upstairs, the guest rooms with open to private balconies. 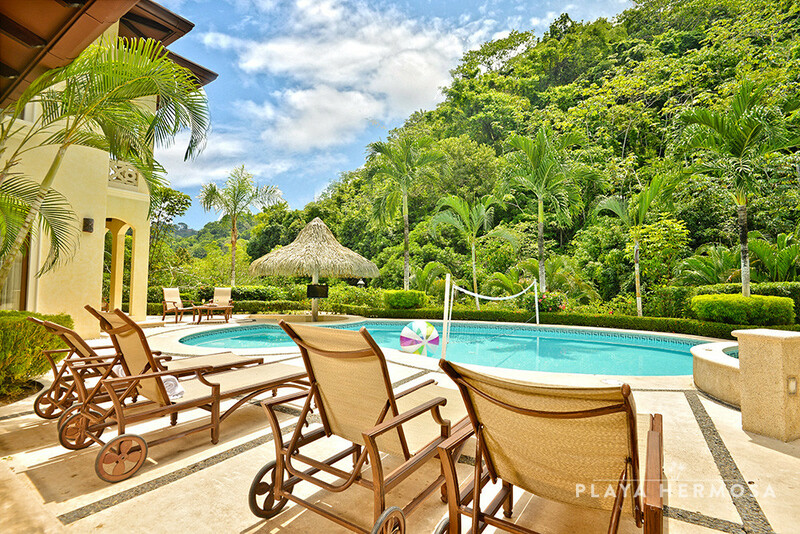 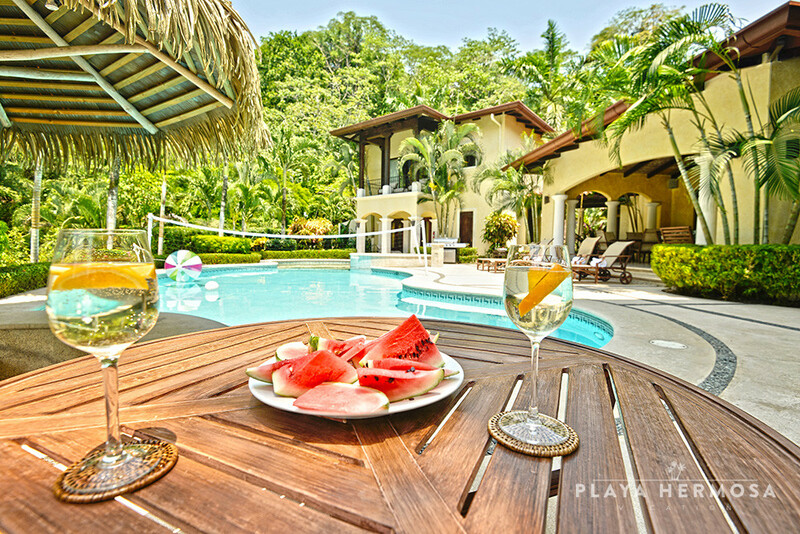 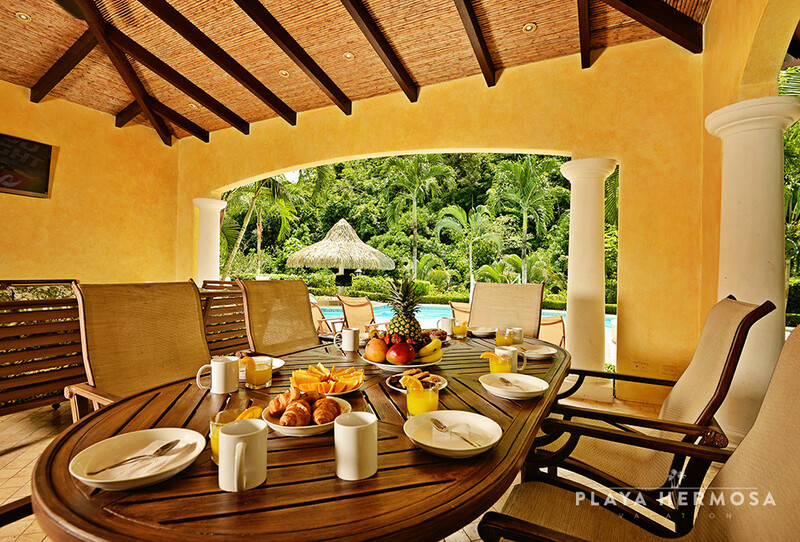 In addition, a game room and home theatre provide entertainment for times when lounging poolside is in need of a break due to the tropical noon-day sun. 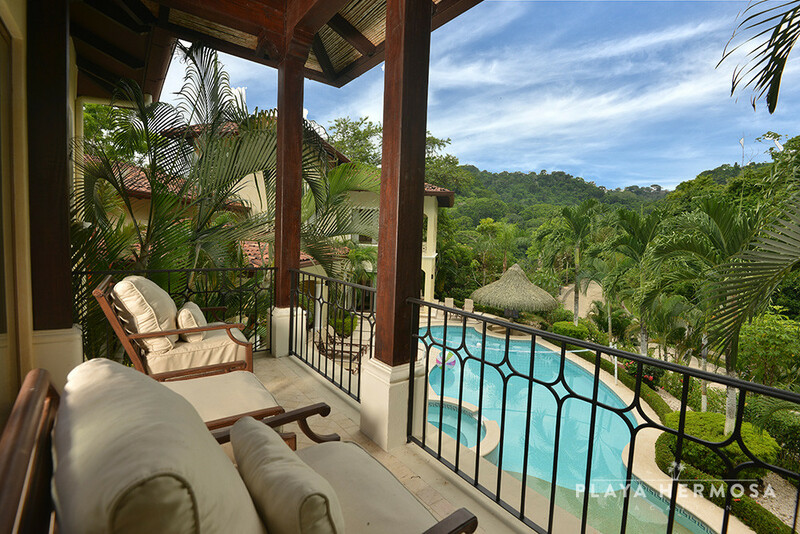 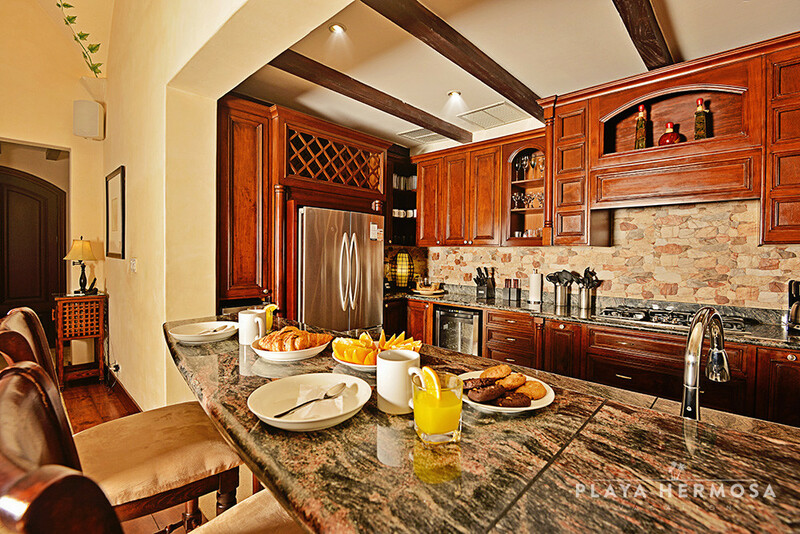 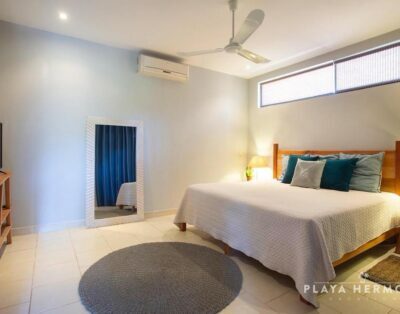 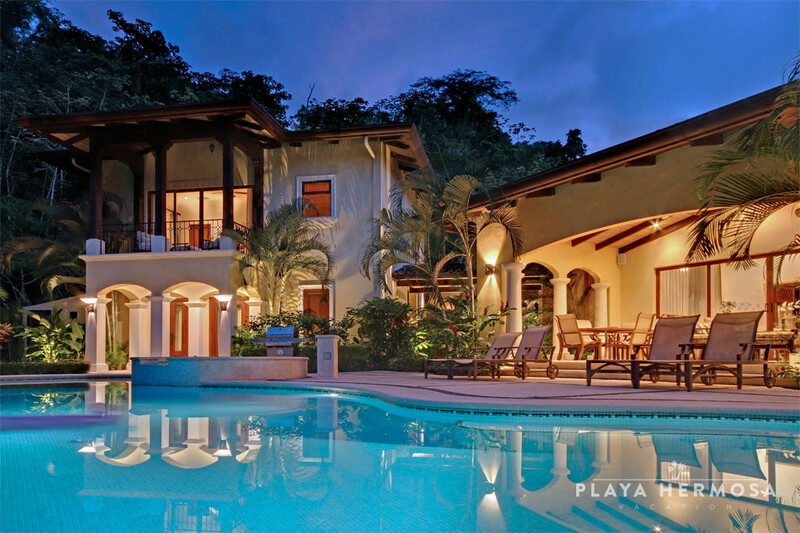 With 6 bedrooms (4 with en-suite baths), Casa Tropical accommodates 12 people in an elegant but casual tropical lifestyle. 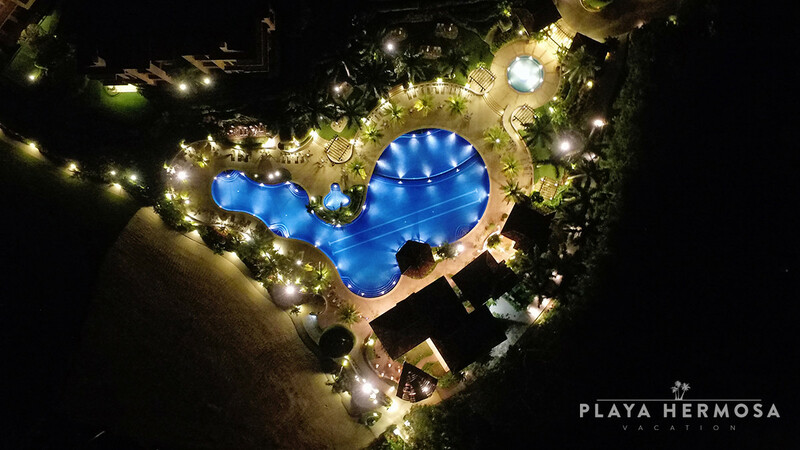 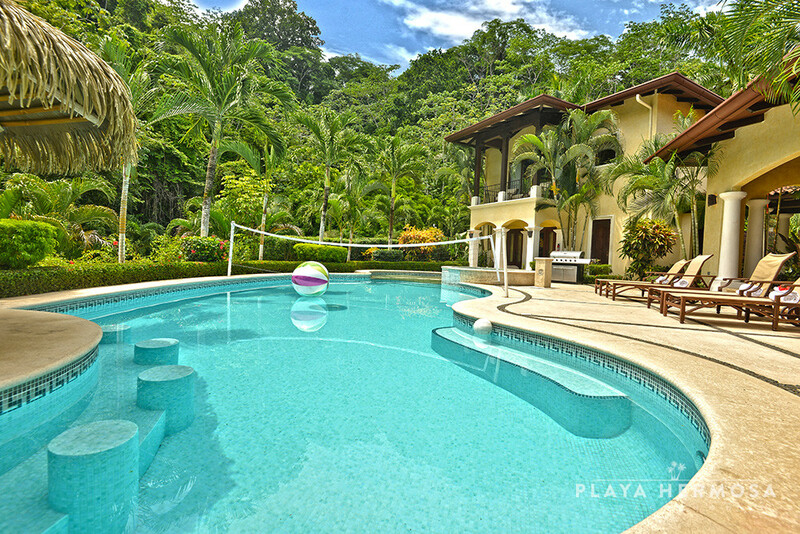 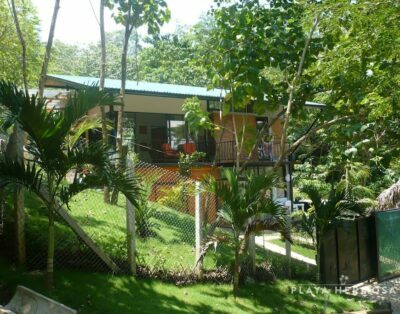 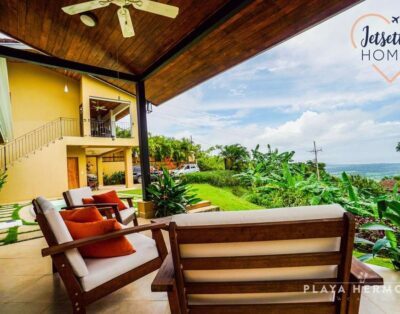 Whether it’s a house party, family vacation, or corporate team building, this villa provides all the luxury and comfort of paradise.